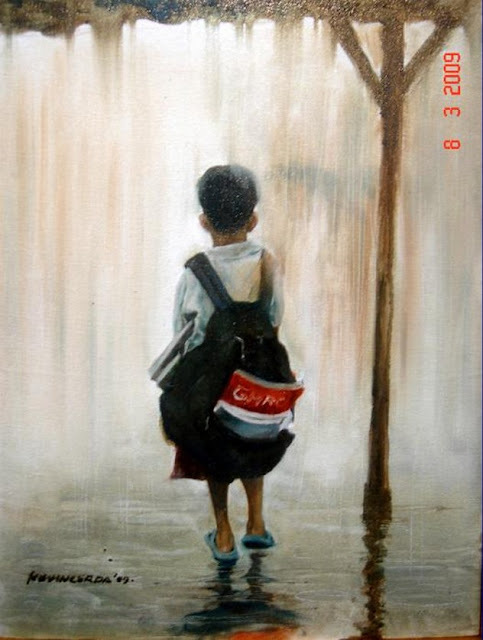 The last painting, its like the school bag is too heavy for the little boy, symbolize that current school syllabus and standard is too much for kids, and they really don't have much time to enjoy their teenage life like what we have years back. 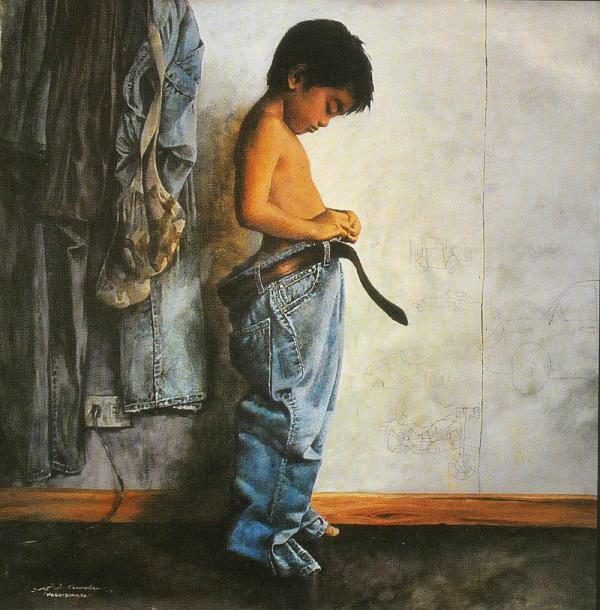 1st image: when we was young, we always wanted to grow up, like the kid in the image trying to wear the grown up jeans. after we grown up, there is actually a lot of responsible, and it is not as what we wanted when we was a kid. 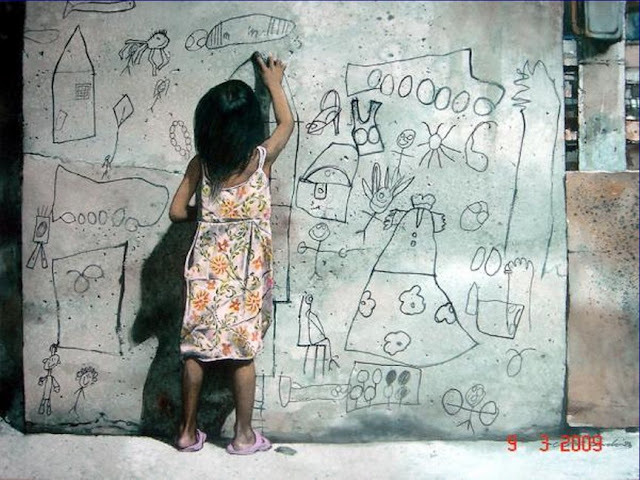 2nd image: kids' world is actually full of imagination, anything is possible in the kids' mind. parent and grown up should not stop their imagination, just let them proceed with their crazy idea, and in that ways they will learn faster. 3rd image: looking at the image, can you imagine the face of the boy in the image? is he happy? modern kids are not as happy as we were. school bag become heavier and there are more things to learn compare to things to play. a kid is always a kid, that need a lot of love, playtime, and care from their parent. they should not be judge from the result in school. as parent, more important responsible is to make sure they have a joyful and healthy (in terms of physical and mental) childhood.